We combine quantitative measurement of material movement with non-flow consideration such as noise temperature, supervision, communication, personnel comfort and movement in designing our production layout for production efficiency. Our commitment towards intensive product research and development plus a strong corporate philosophy have enabled us to meet our customers' needs and expectations and contribute towards our growth in becoming the leading manufacturer of food packages in the region. Our manufacturing and logistic systems is shaped to suit our customers' needs and to continuously provide new and better products. 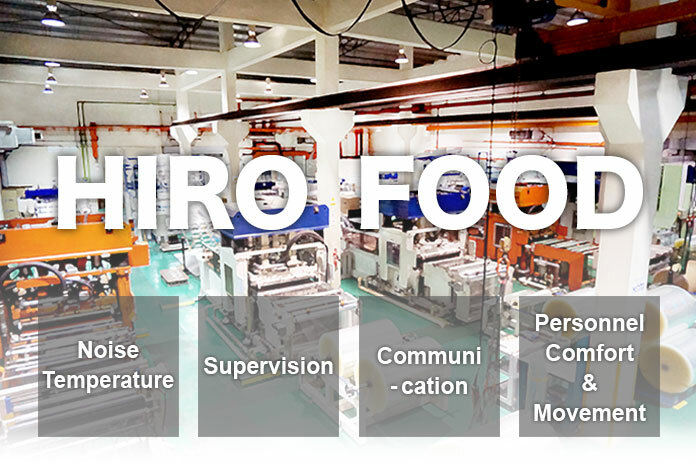 Our product diversity, does not only satisfy economic needs but also emphasize on design, fashionability and most importantly reliability in the products logistics process which includes loading and display of food; which is the gist in the development of food packing. To swiftly respond to market needs, we have invested in our own research and development facility to cater for both standard and custom-made products. Clean manufacturing environment is important features in the production of food packages. 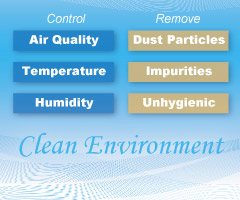 Our manufacturing has been designed to control the air quality, temperature and humidity where it is regulated in order to protect sensitive equipment and products from contamination. We repeatedly filtered the air to remove dust particles and other impurities that can contribute to food unhygienic or contamination. People who work in our production area wears clean and designed uniforms that do not give off lint particles and prevent human skin and hair particles from entering the room's atmosphere or transmitted to the products.